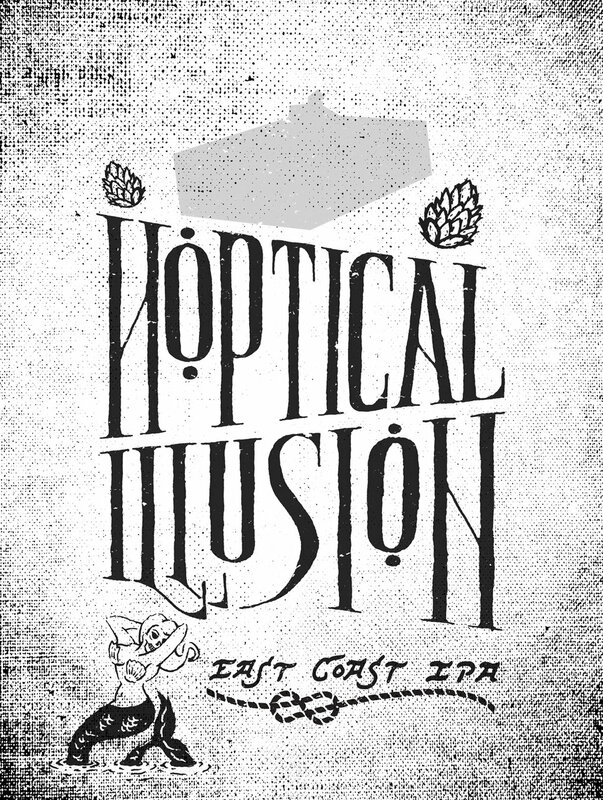 Two Left - Hoptical Illusion — Two Left Co.
A hand lettered, psychedelic brew, and a glimpse into the beyond. Spooky! 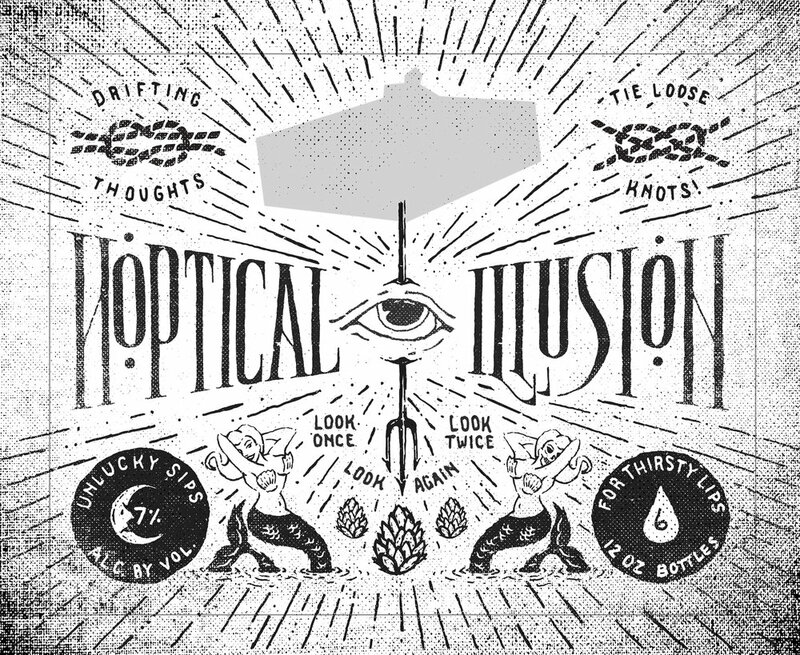 Working with Chicago's VSA Partners, the packaging for Blue Point Brewery's Hoptical Illusion IPA was reimagined for a company-wide rebrand in late 2016. A series of hand lettered logotypes, spot illustrations, and a few sea-inspired words of warning adorn this bitter brew's packaging. The bright underlying gradient pays homage to the original Hoptical Illusion packaging.